Meet Ari. He’s on a journey to rescue his sister, Ina, who has been kidnapped in the mysterious Phantom world. He’s determined. He’s focused. 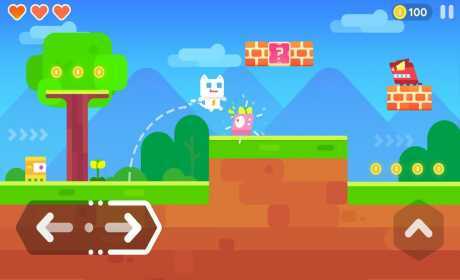 But super-scary enemies, super powers, allies and hidden secrets await him. · Bounce higher and higher to reach for the sky and stars. · Float on balloons into the Wild Woods and Alps. · Break walls, stone, and metal. · Shrink and enlarge monsters with the touch of a finger. · Turn irritating critters into ice statues. · Shift to invincible mode if danger still prevails. · The lead singer and guitarist of a band. · A dancer who plays pranks and dresses up as a skeleton. · A pink-haired magician who is a master of cards. · A funky teen skater obsessed with extreme sports. · An adventurous cowboy always on a lookout for treasure. · And champions from Mushroom stomping, Juice blending and Cuteness competitions. · Find hidden secrets in the mysterious Phantom World. · Discover different levels and checkpoints. It’s a purr-iceless experience for everyone! In Super Phantom Cat 2, you can own props, which save you from cata-astrophe. If cats have nine lives, you can earn even more! · Create props based on your own requirements. 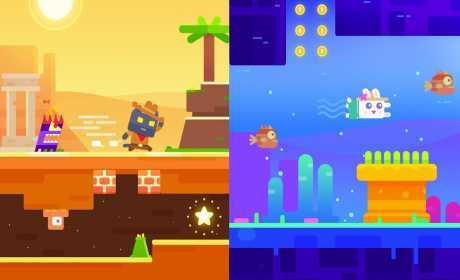 · Whether you are a beginner or a master at platform games, you need these props to complete your mission. 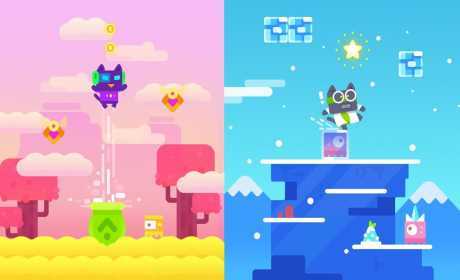 From the creators of Super Phantom Cat, which featured in the Google Play’s “Best of 2016,” Super Phantom Cat 2 is the hottest, baddest platform game of 2017.